Hello everyone, firstly, I must thank Dedra and Rodney for the opportunity to post here. It’s an honour and a privilege to open their blog. Let me introduce myself. 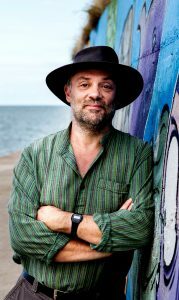 I’m Richard Dee, and I write Science Fiction and Steampunk adventures, as well as chronicling the exploits of Andorra Pett, reluctant detective. I have eight novels published, along with two collections of short stories and a part in a third. And I’m totally self-published, through choice I might add. I came to be writing late after a forty-year career at sea. There was no warning, one day I had an idea and wrote it down. I had another and another…; the rest is history. I don’t consider that I need to get involved in the traditional route, there are plenty of ways to find an audience, publishing is a lot more accessible than it ever was. There has been a change in the industry; there is more acceptance of the role that self-published authors play. There is a lot of talent out there, and thanks to the self-publishing revolution, you can find books on just about any subject, any genre or niche market, not just the flavour of the month. It took courage for me to set up on my own. Before I released my first novel, I spoke to people and got their opinions. And I showed my work to some people I trusted. They encouraged me to go it alone. An agent told me that what I wrote was not what publishers were currently looking for. He never said that it wasn’t any good, just that it would not be accepted unless trends changed. An author I admire told me that they enjoyed reading my stories, agreed with the agent’s assessment of the market and helped me get my work into the best possible shape. I listened and learned. The biggest lesson was that there is no such thing as competition. The market is big enough for everyone, so long as the work is good enough, it will sell. Not instead of another’s, as well as. Quality is the only requirement. And they were right, thanks to their help, my work sells reasonably well. I get good reviews and requests for sequels. As far as the industry and my peers are concerned, I’m a writer. People I don’t know buy my books, and like them, their money helps pay my bills. That’s a good enough endorsement for me. However, there are still those who see self-publishing as second best. 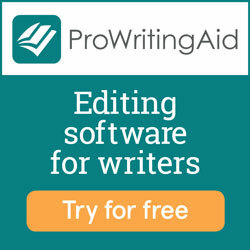 They consider it the last refuge of the poorly edited, talentless wannabee who are incapable of going the other way. Or as an expression of vanity. While, at the same time, I can name self-published authors who are selling millions of copies, getting film deals and producing work that is indistinguishable from anything coming from what they would call a “proper” publisher. Of course, it means that as well as writing the books, I have to do all the things that an author with an agent and publisher is blissfully unaware of. I employ editors and proof-readers to correct my manuscripts. I have a cover artist and an account with a printer. All the people who work for me are experts, often employed by traditional publishers. I might be self-published, but I will not let any of my work appear in public unless the quality is as good as, or better than, anything that anyone else produces. I don’t get advances; I take all the risk. If my books are not good enough, I take the loss, so it’s in my interest to make sure that doesn’t happen. Which is why I think that bravery is a more appropriate description than vanity for self-published work. Enough about the politics, to me, the method is less important than the content. I write what I want, not what the market might want in the two years that it can take a book to go from idea to finished article. I base my stories on simple, old-fashioned ideas, a chase, a search for redemption, a quest for the truth, love, and loss. My plots come from dreams, overheard conversations or incidents from my past. All set in a universe that exists only in my imagination. They’re Science Fiction, but the science is just as important to me as the fiction. Everything in my worlds is based on fact, a lot of it is what we do now, just modified slightly or developed to fit into a future or alien world. Or in the case of my Steampunk setting, an alternative now, a Victorian society without oil or electricity. The bravery also comes in when you have to let someone else see your work. Whatever you create, it’s never easy to put anything you’ve made into the public eye, every author I know spends months agonizing over each sentence, writing and re-writing, making it as perfect as it can be. There is as much effort involved, whichever route you take. Another thing I have learned is that we’re all writers, just on different paths. I have a group of people scattered on the internet who read my drafts, suggest better ways of saying things, spot the gaps in the plot and generally rip it to pieces before it goes anywhere near an editor. They’re real readers, not interested in trends or commission. They read my work because they enjoy reading. They tell me when it’s working; when it’s published, they tell all their friends. Because of all the help, received in my apprenticeship, I try and help other writers on their journey. I host a weekly showcase on my website, to give them exposure to my audience. I’m always ready to help and advise anyone. Hopefully, I can stop them from making one of the many mistakes I’ve made over the last five years. I’ve set up an online resource to share my method of fantasy world building. As I hope you can see, self-publishing, when it’s done properly is not the easy option. Nor need it be the refuge of the untalented. There’s a tremendous amount of work involved. But the feeling of satisfaction, of knowing that you have created something, is worth it. My website is at richarddeescifi.co.uk. Head over there to see what I get up to, click the FREE STUFF tab or the PORTFOLIO tab to get all the details about my work and pick up a free novel or short story. 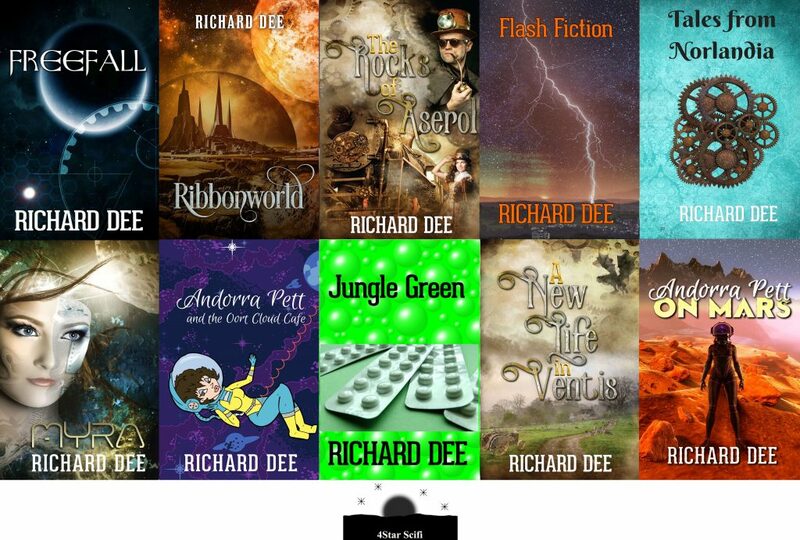 I’m on Facebook at RichardDeeAuthor and Twitter at Richard Dee Sci-Fi.